During the fall and winter months in Bend Oregon many people find their mood is affected by what is known as the “winter blues” or Seasonal Affective Disorder (SAD). Many SAD sufferers find relief with bright light therapy but others are unable to use bright light therapy for various sensitivity or medical reasons. 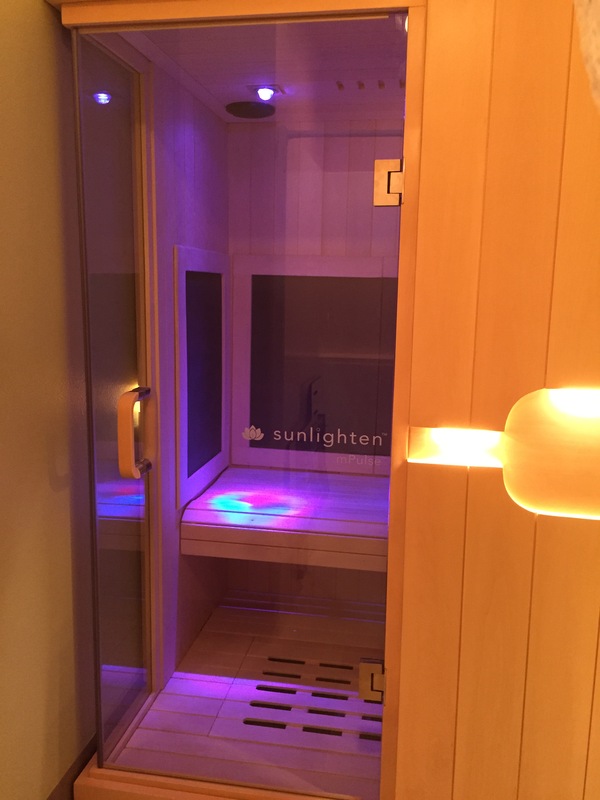 Adding chromotherapy, or color therapy, with regular infrared sauna use can help balance the areas in the body where energy is lacking. Chromotherapy can be beneficial for physical, emotional, mental and spiritual healing. Chromotherapy is the science of using colors to adjust body vibrations to frequencies that promote health and harmony. Each color possesses frequencies of a specific vibration, of which all correclate to different physical symptoms. Our bodies need the sun’s light to survive and thrive! The sun's light can be broken down into a seven color spectrum. When imbalance of any of those colors occurs various physical and mental symptoms are soon to follow. Color therapy works on various energy points to help balance the body using the full spectrum of visible light, each color addressing a different deficiancy. Color and light have been sucessfully used by a variety of healers for thousands of years. It is believed that color therapy has roots in Indian medicine (Ayurveda), ancient Egyptian culture and traditional Chinese healing. Red is believed to increase the pulse, blood pressure and rate of breathing. Red is useful in supporting circulatory and nervous functions. Strong pink promotes cleansing and strengthens arteries and veins. Pink mobilizes and eliminates impurities and toxins in the blood stream. Yellow purifies the skin, reduces indigestion, supports the nervous system, treats glandular diseases, hepatitis and lymphatic disorders and promotes healthy metabolism. Green, promotes harmony and positive attitude and calms the body. Strong green offers anti-infectious, anti-septic and regenerative stimulation. Strong blue helps lubricate joints and addresses stress, nervous tension and infections. Blue promotes relaxation and sense of calm and is believed to reduce pain. Blue's tranquilizing qualities can relieve headaches and migraines, colds, anxiety, stress, rheumatism, muscle cramps, stomach pain, and liver disorders. Indigo can improve conditions involving the eyes, ears and nose and often has a calming, sedative effect. Violet can bring peace to the nervous system, pacify organs and relax muscles. Violet is often used to treat conditions of the lymphatic system and spleen, as well as urinary disorders and psychosis.